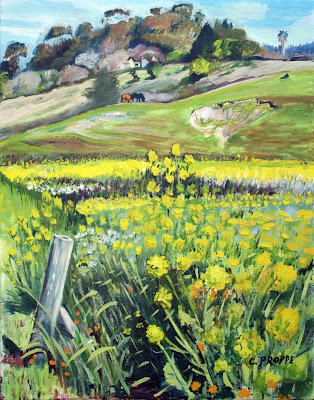 "Before the Spring Plow"; Yellow Mustard at Paradise Valley Farms, Bolinas, CA. 2008. o/c 11" x 14". Session #2 on this little canvas, started plein air at the farm last week.